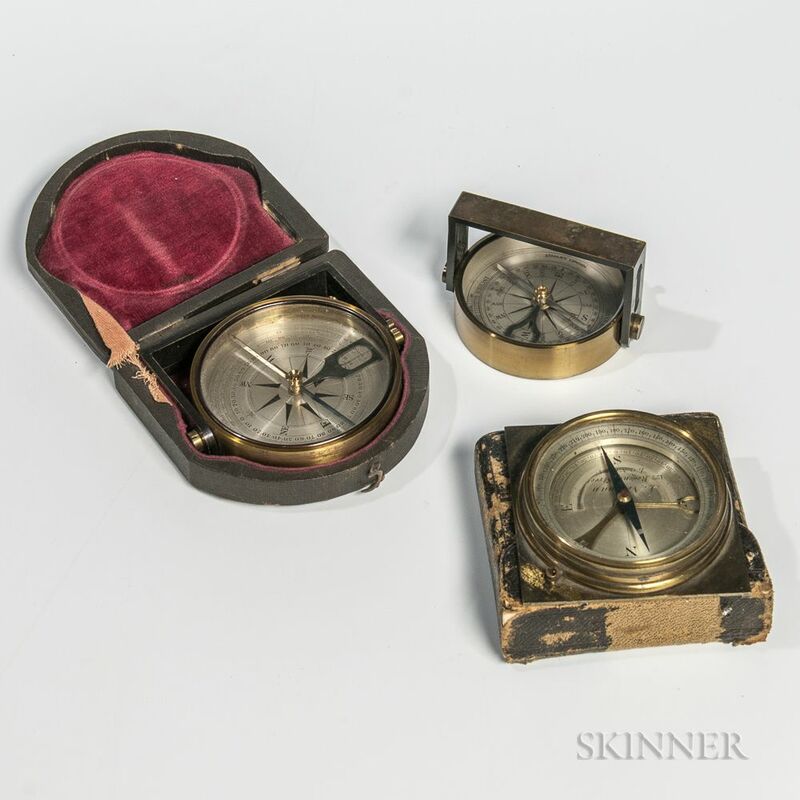 Two Combination Clinometer/Compass Instruments and a Field Compass, 19th/20th century, an unsigned 3-in. dia. cased clinometer, and a 2 1/2-in. dia. Stanley example, with a 2 1/2-in. silvered compass dial marked "I. Newman/122 Regent Street/London," with blued-steel needle.